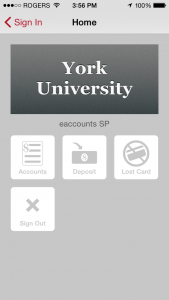 Use the YU-card mobile app to manage your YU-card account! The app lets you quickly view your account balances and transaction history, top up your Flex account with additional funds, and freeze your YU-card if it is misplaced. NOTE: In order to add funds to your Flex account using the app, you must have already made a deposit to your YU-card using the eAccounts web site and selected the option to save your credit card information. You cannot add a credit card within the app at this time. 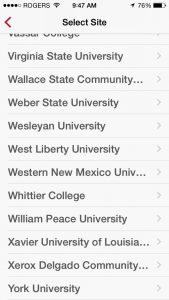 Step 1: Download the app to your mobile device. 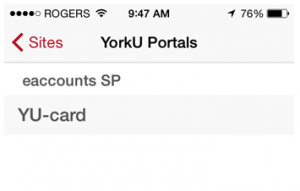 Step 3: Select the YU-card portal. Tap on the "YU-card" option that appears under "YU-card eAccounts". Step 4: Log in using your Passport York ID. 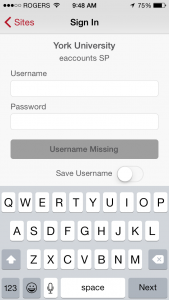 Step 5: Once logged in you will be able to access your account. 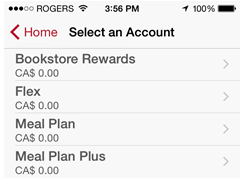 Tap the Accounts button to view your account balances and transaction history. Tap the Deposit button to add funds to your Flex account. Tap the Lost Card button to freeze your YU-card if you’ve misplaced it. 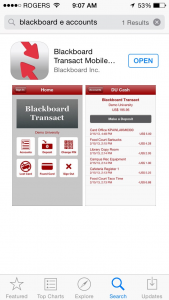 For general inquiries about the mobile app please contact the YU-card Office.